It is kind of hard for a sequel to a film as uninspired as “Unbreakable” and a film that is so unsure of what it is as “Split” to be disappointing, but “Glass” tries its hardest to do so. 19 years after the events of “Unbreakable” and several weeks after the events of “Split,” David Dunn (Bruce Willis), Mr. Glass (Samuel L. Jackson) and the Horde (James McAvoy) are brought to Ravenhill Psychiatric Hospital to be placed under the care of Dr. Ellie Staple (Sarah Paulson), who specializes in psychological disorders that cause people to believe they are super powered. It seems rather peculiar that a follow-up to “Unbreakable” and “Split,” which were both serious in their execution, would include such a laughable plot point, but that is what “Glass” does. It may be because “Glass” has the style and feeling of a comic book, but it still feels out of place in this already established world, and even then a scientist focusing on people who believe they are superheroes is quite silly. The comic book feeling of the movie is present in the visuals and ideas. There are a lot of scenes that are shot to look like a comic book panel, and the sets are vibrant and aesthetically interesting. This mostly serves the movie well, but there are some points where this style ends up being detrimental. In one of the early scenes of the movie, Dunn and his son (Spencer Treat Clark) are having a conversation. Their talk is filmed in a singular flat-shot with no cuts or anything, and that along with their placement makes it look like something out of a comedy film. While all of these try-hard attempts at being a comic book are going on, the characters have nothing to do. The entire second act of the movie is devoted to Dr. Staple trying to convince Dunn, Mr. Glass and the Horde that they are not actually superheroes, which really should not work because her attempts to rationally explain things they have done either miss key details or are fairly weak explanations, and then them contemplating if they truly are crazy. Well, all except for Mr. Glass, who is needed to keep the plot going because the premise is at a stand-still. Then there are returning characters from the previous movies, such as the main character from “Split” (Anya Taylor-Joy), Dunn’s son and Mr. Glass’s mother (Charlayne Woodard), who just have random scenes that do nothing to develop their characters or the plot. In true comic book fashion, all of these plot threads lead up to an end fight between the hero and villain. This scene is probably the most enjoyable part of “Glass,” but it could also be in the running for worst fight scene in cinema. All of the characters gather on the grounds outside the hospital for this, but most of them just stand around and jump in to help at arbitrary moments. It gets to the point of just standing around where characters would logically be witnesses to some egregious actions taken by other characters, and not a single one does anything or apparently notices anything that happens somehow. 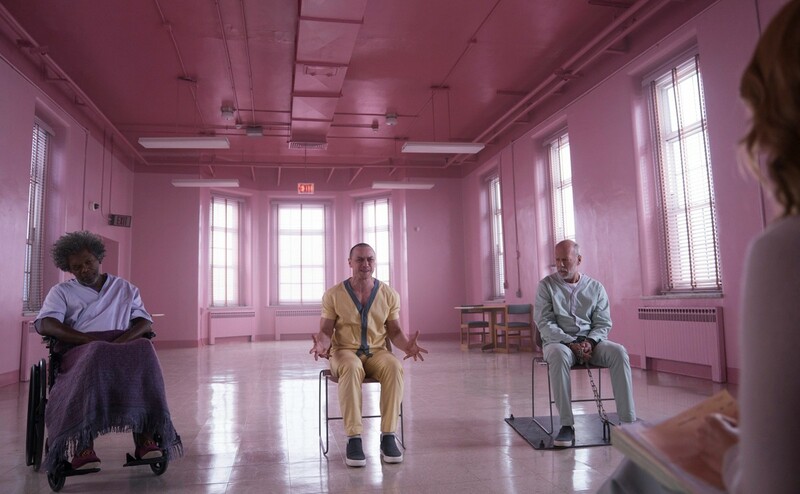 The unexpected awfulness of “Glass” might be the worst Shyamalan twist to date.